SAN DIEGO, CA – November 15, 2011 –Today, Altec Lansing announced availability of hand-crafted, armature-based in-ear monitors for professionals and audio enthusiasts who demand only the best in audio accuracy, noise isolation, and comfort. Through a partnership with global audio specialist ACS Custom, custom fitted in-ear monitors will be available for retail consumers as well as audio professionals. Engineered for DJ’s, professional producers, recording / mixing engineers and performing musicians, these new monitors bring to consumers Altec Lansing’s legendary sound quality coupled with ACS Custom’s reputation for innovative custom in-ear products. “For nearly 75 years, Altec Lansing has focused on authentic sound quality, and the new Custom Series balanced armature monitors are designed to provide phenomenal sound to professionals and consumers alike who demand high fidelity music, exceptional fit and long-wearing comfort,” said Raleigh Wilson, VP Sales & Marketing. Offering premium audio products is part of Altec Lansing’s renewed emphasis on returning to its roots in high-end sound solutions designed for those who want to hear music like the artist intended. These new headphones will promise an unparalleled user experience, as they are custom-built through every phase of production. Once a user purchases an Altec Lansing by ACS Custom monitor set, they will be referred to one of more than 300 local pre-qualified audiologists, who will create individual custom ear molds from which to craft the monitors. Altec Lansing and ACS Custom have a trained network of over 300 professional audiologists who are skilled at making great ear impressions. The custom ear molds are then sent to ACS Custom to create a product to exacting specifications, promising a perfect fit to maximize the listening experience. The new Custom Series in-ear monitors are handcrafted from advanced, medical-grade silicone that is extremely soft. The 40 Shore silicone quickly adapts to a user’s body temperature, forming a flexible yet complete seal that ensures comfort for extended wear and isolates noise up to -27db. Furthermore, SteriTouch provides an antimicrobial benefit to the silicone. The three new models have a frequency response range of 16Hz ~ 20KHz, so users will experience music that is most closely matched to the true sound of the original recording. All three models are fitted with finely tuned balanced armature drivers and provide a complete seal of the ear canal that requires less volume while isolating outside noise. Unlike conventional drivers, no air is required for the sound to be conducted. Because of this, the Custom Series In-Ear Monitors can be much more accurately tuned for specific frequency ranges. The result is precise, sharp audio clarity from deep bass tones to crystal clear mid and high range notes. The cables are reinforced with Kevlar for strength and feature an innovative sheath to prevent noise transference to the earpiece. The plug is right-angled and custom-molded for resilience, and the 3.5mm connector is gold plated. Three custom models are available; each has been carefully constructed for maximum sound clarity, comfort and longevity. The choice of professional musicians and serious audiophiles, the triple driver A3 offers unmatched range, depth and clarity of sound. Three independent drivers work in harmony to sharpen every detail across the entire frequency range. Treble and mid-range drivers deliver clear and nimble notes while the large bass driver produces deep and smooth tones. Each channel is further enhanced with specially selected acoustic filters.The dual-driver A2 In-Ear Monitor is a favorite of audio enthusiasts, providing the dynamic range, power and clarity of sound that has been the hallmark of Altec Lansing for nearly 75 years. Each hand-made A2 features a large bass driver for deep, mellow tones and a mid to high range driver for a crystal clear top end. The lightweight A1 features one of the most dynamically powerful and accurate drivers ever developed. Delivering an incredible range with stunning clarity, this single driver in-ear monitor is perfect for anyone wishing a discreet and comfortable way to enjoy live-concert quality with a custom canal-molded monitor. 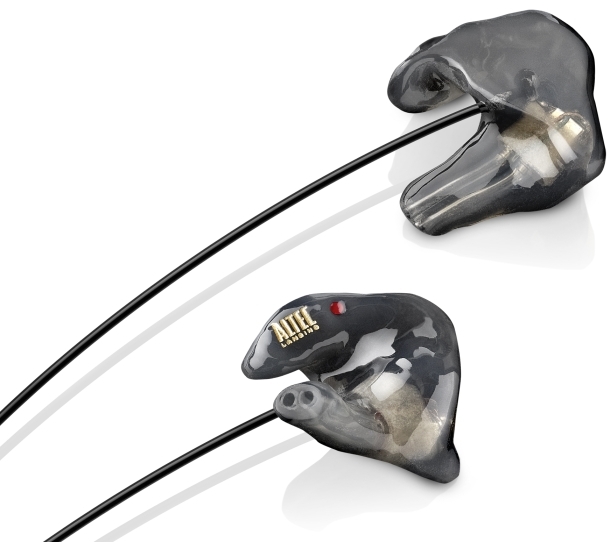 The Altec Lansing by ACS Custom Series In-Ear Monitors will be available beginning in November. Pricing for the triple armature A3 is $999.95, while the A2 and A1 models will have a suggested retail price of $749.95 and $499.95, respectively. Additionally, J&R Music and Computer World in Manhattan will have a planned launch event offering on-site ear impressions by a professional audiologist. Audiologists will also take custom ear impressions at the Altec Lansing CES booth (South Hall 1, Booth #20621). Consumers are urged to visit www.alteclansing.com/custom for more information.